Ready to sell your home in 2019? 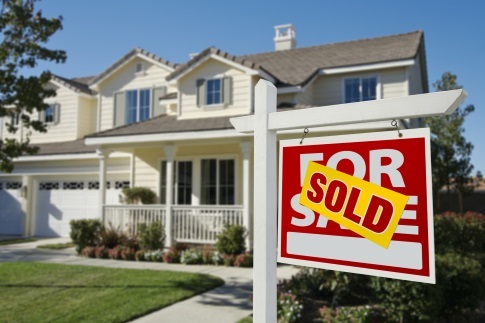 With a shortage of inventory and favorable interest rates for buyers now is a great time to sell. It is often more emotional to sell a home than to buy a home, and the reason for selling your home may be a determining factor in the urgency of the sale. The urgency may also have an effect on the price of the property. It is very important to first calculate the expenses that may be incurred while selling your home. This knowledge is absolutely necessary because it helps you to determine a good price for the house, as well as the potential profit that you can realize. The cost of selling your home may include things like commission to be paid to the agent, taxes, advertising costs or specific reports, such as a property inspection. Is your property priced in relation to other offers in your area? What type of neighborhood is your property located in – well-established, up-and-coming, transitional? Is your property located in an urban or rural area? Keep the grass cut and yard clutter to a minimum. Apply fresh paint to any wooden fences and your front door. Wash or paint your home’s exterior. Ensure gutters and other exterior fashions are firmly attached. Did you know well-placed furniture can open up rooms and make them seem larger than they are? Or, that opening drapes and blinds and turning on lights make a room seem bright and cheery? It’s true, which is why staging your home to look its absolute best is an important factor in the selling process. Clean all flooring and fixtures – lights, fans. Remove excessive wall hangings, furniture and extra personal goods. Turn on all lights and open the drapes during the daytime. Play quiet background music and infuse your home with a comforting scent. Vacate the property when and if it’s being show to prospective buyers. Accessibility is a major issue in many parts of the world. Again you cannot do anything about your home’s accessibility to specific things, but it does play a role in the price of your property. Your agent will work with you to highlight the places of interest that are most accessible to your home. Selling a home may seem quite overwhelming. That’s why it’s important to have an experienced professional represent you and help guide you through the process. Call, text, or email me and I’ll review your message right away.